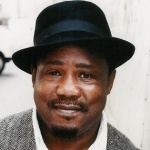 ISIAH WHITLOCK, JR. is a veteran theater, film and television actor. He is best known on the big screen for his roles in films like David Chase’s Not Fade Away, Miguel Arteta’s Cedar Rapids, Rashaad Ernesto Green’s Gun Hill Road, Tony Kaye’s Detachment, and Spike Lee’s The 25th credits include Europa Report, Home, Newlyweeds, Black Dog Red Dog, Thanks for Sharing, Brooklyn’s Finest, Twelve, Main Street, Choke, Under New Management, 1408, Enchanted, Kettle of Fish, Pieces of April, Duane Hopwood, Jump Tomorrow, Harlem Aria, The Fish in the Bathtub, Everyone Says I Love You, The Spanish Prisoner, Eddie and Goodfellas. He can be seen in the upcoming films 23 Blast and Angriest Man in Brooklyn. On television, Mr. Whitlock is best known as Senator Clay Davis on HBO’s The Wire, and can currently be seen as George Maddox on VEEP. He was recently a series regular on ABC’s, Lucky 7. In guest starring roles, he has appeared on The Blacklist, Louie and Smash. Mr. Whitlock has been featured numerous times on Law & Order: Criminal Intent and Law & Order: SVU. Other guest leads include roles on Chappelle’s Show, Comedy Central’s The Onion Sports Show, Rubicon, The Unusuals, Meet the Browns, Human Giant, New Amsterdam, Madigan Men, Wonderland, Third Watch, Ed, New York Undercover and the PBS documentary Liberty. Mr. Whitlock was nominated in 2002 for a Lucille Lortel award as Best Featured Actor for his work in “Four,” that enjoyed a renowned off-Broadway run at the Manhattan Theatre Club. “The Iceman Cometh”, “Merchant of Venice”, and “Mastergate” are among his Broadway credits, while “Farragut North” (Atlantic Theatre Co., Geffen Playhouse), “The Cherry Orchard”, “Everything That Rises Must Converge”, “Up Against The Wind”, “A Lesson Before Dying”, “High Life”, “Edmond”, “The American Clock”, “White Panther”, and “The Illusion” comprise his off-Broadway credits. He was also part of the national tour of the play “The Piano Lesson”, in the title role of Boy Willie.